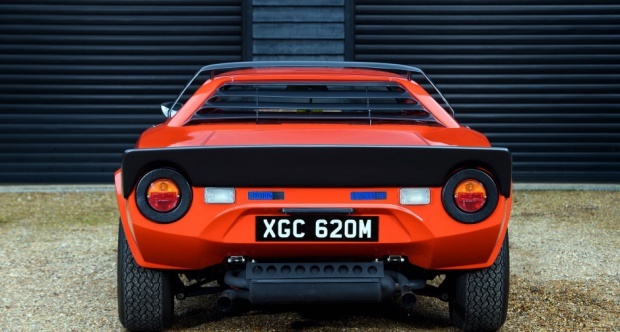 Lancia Stratos Stradale. 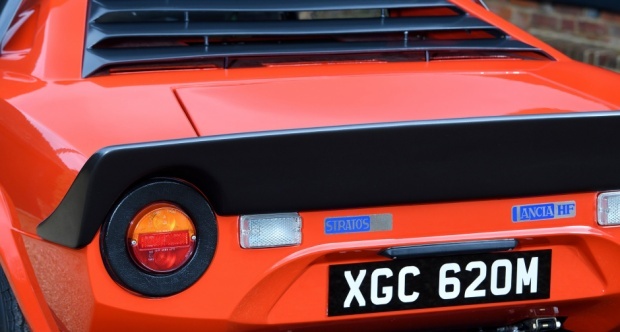 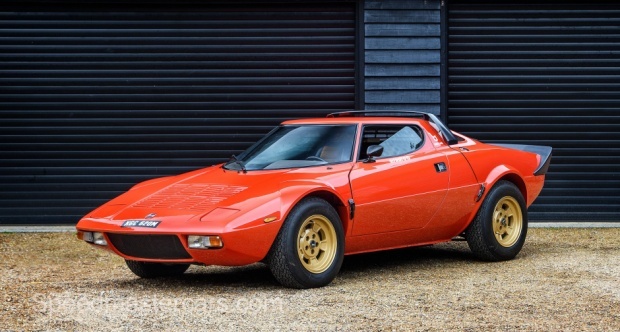 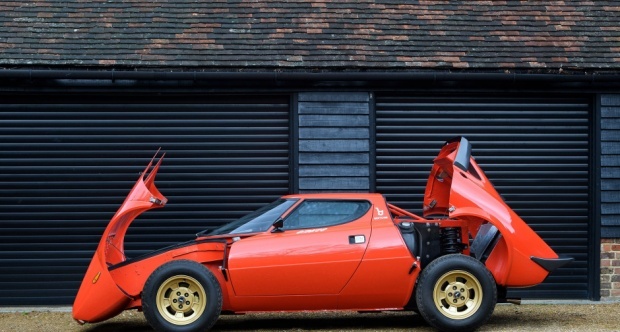 Built in 1974 this Lancia Stratos is one of fewer than 500 road cars cars produced as the homologation special for Lancia's Group B rally project. 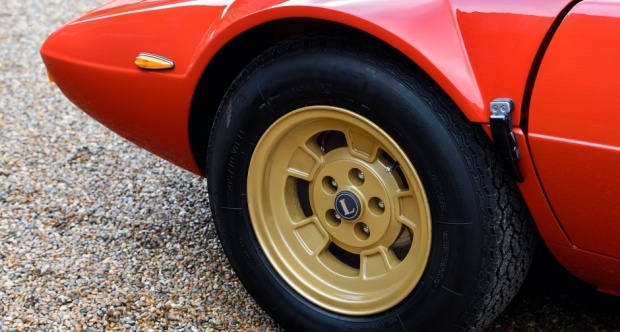 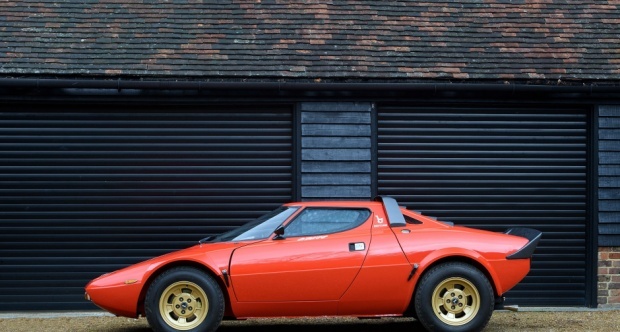 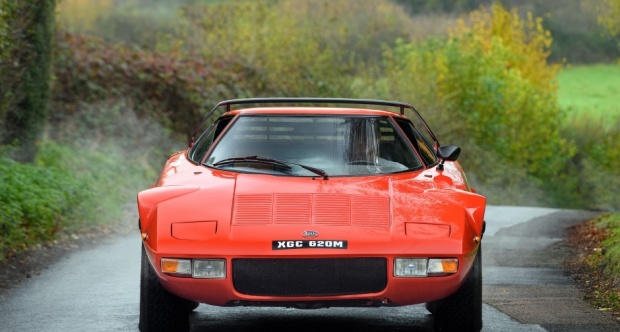 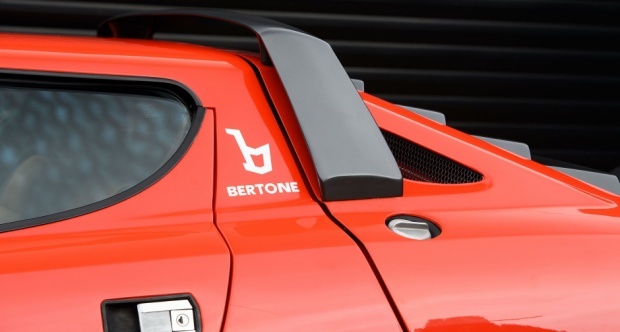 With clamshell front and rear bodywork, fully adjustable suspension and powered by the Ferrari Dino engine, the Stratos dominated the World Rally Championship from 1974 -1976. 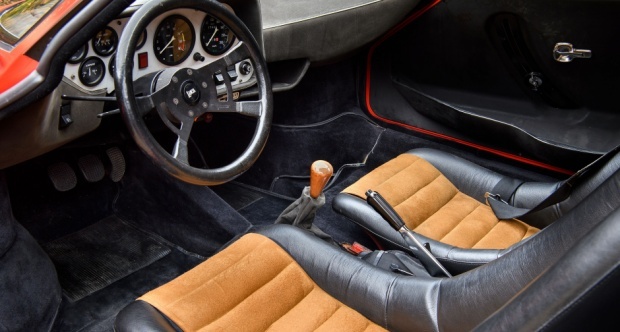 This Stratos Stradale, finished in Rosso Arancio with Havanna Alcantara seats, black carpets and dashboard, was delivered to Ferri A - the Lancia dealer in Udine Italy in 1974. 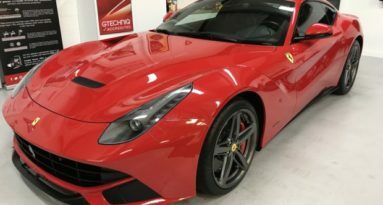 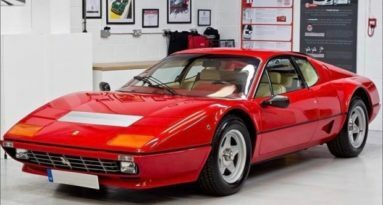 Confirmed with matching numbers including body numbers, and having been delivered new as a road car, amazingly this car has covered only 17000kms since new. 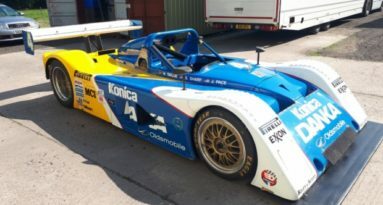 With fantastically well documented history, this history can be traced back over 30 years since it arrived in the UK from Germany. 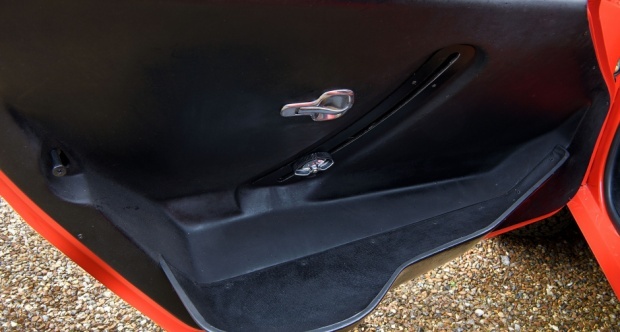 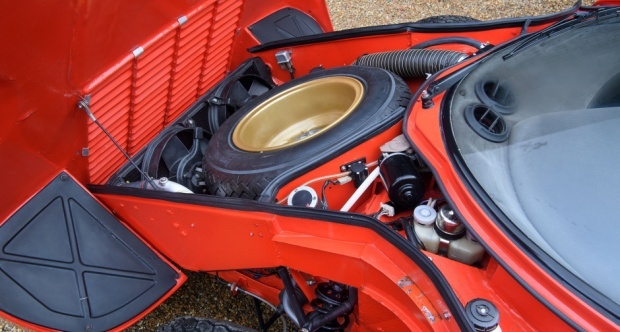 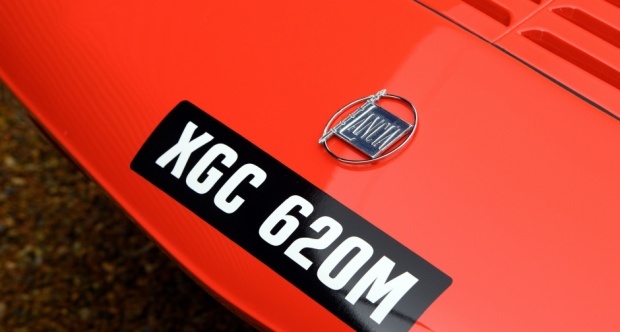 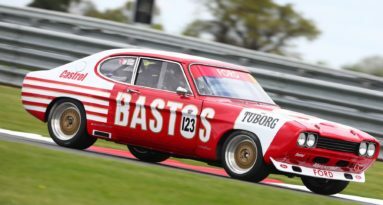 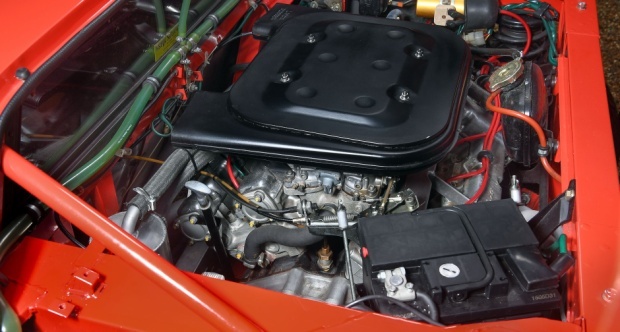 In addition, as can be seen by the photographs, the car remains in excellent condition having had a mechanical restoration in 2014, and has very well preserved original bodywork, and interior, testament to the low mileage and professional storage that the car has enjoyed for much of its life. 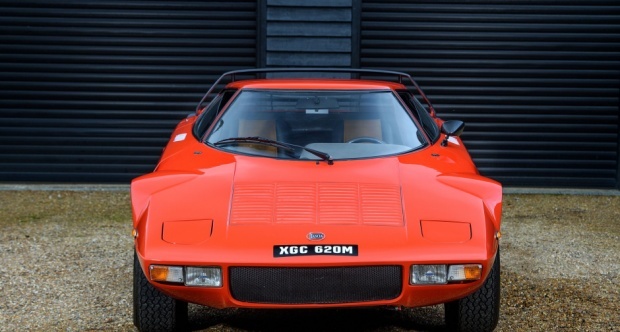 Complete history and documentation available on request, please contact James Hanson at Speedmaster on +44 (0)1937 220360 for more information.